“After having no luck with Keitechs and gulp mullets, I decided to try the Curly Tails that I received from Fishbites at the Fred Hall show. I was honestly shocked at how well the action of the bait was. About 5 casts later, I felt a little tap, and it was game on! 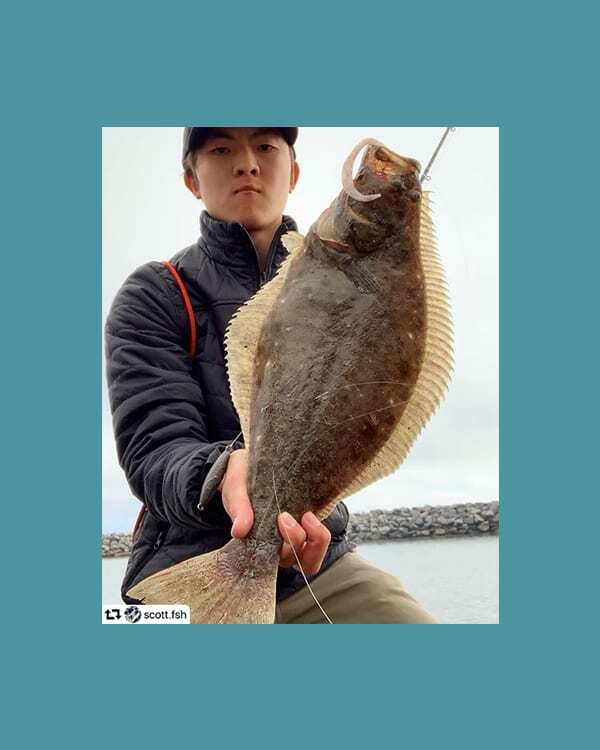 I bounced the halibut onto the rocks and was beyond stoked to measure it out to 22”.